"There is not enough disk space to create the volume shadow copy on the storage location." Solution 1) Go to Services and restart Volume Shadow Copy Service and Virtual Disk Service. 5. Repeat the steps 1 and 2 and REMOVE the letter from the System Reserved volume. The backup should run successfully now. Set your Windows account to temporary lock if someone enters the wrong password several times in a row. net accounts /lockoutthreshold:3 (to set the account to lock out after 3 tries). Open an elevated command prompt by right clicking the cmd.exe link and selecting "Run as Administrator." Check the box that says "Allow other network users to connect." connect to it if they know the password. resetting it to the default. Setup with the Upgrade media for Windows 7, but when you go to activate, it won't work. originally posted here on August 22 2009. You'll have to change permissions on this key first. Different attributes give different right-click options. Changing the attribute to 10 gives the rename menu. Other attributes give the standard options, i.e. 'Cut', 'Copy', etc. are easy to change to normal colors. whatever and save it using the filename in the .reg file above. on a Windows Vista-based computer? If Windows Media Center is running, close it. 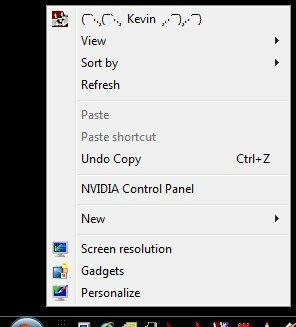 In the Start Search box, paste or type regedit. 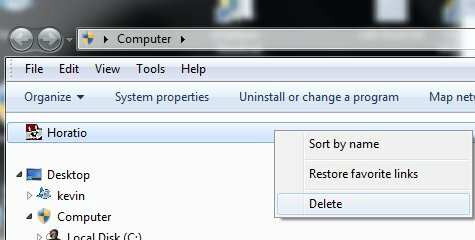 In the Programs list, click regedit. In the details pane, right-click ShowGallery, and then click Modify. Delete the contents that appear in the Value data box. In the Value data box, type Gallery, and then click OK.
//www.slysoft.com/en/anydvd.html -- 30 day free trial! type, defines whether or not this behavior is turned on, i.e. 1 for enabled, 0 for disabled. ratio, computed by the division of w/h, is 1.6:1.
than 1920×1200 will force the loading and zooming of an image of closest compatibility (i.e. from 0 to 2, with each value defined below. "The network share housing your media must allow unfettered Guest access." set its data to either 0 (disabled) or 1 (enabled)." where Microsoft told you to, you might be able to run it at startup. their own folders here. A gold mine for snoops. cookies (Local Shared Objects or LSOs), and others. any of the types of cookies in question, it recreates them using each mechanism available. Firefox, Chrome, Opera, Safari and also works and Windows & Linux platforms. @="cmd.exe cd && /c mkdir \"%1\"-dir && move \"%1\" \"%1\"-dir"
version, Version 6.1 (Build 7600). the registry key and select 'export'.